Often we might hear our youngsters say, “We don’t go to Mass on Sunday.” This challenges us to a precarious balance: to not respond in judgement while, at the same time, sharing with them the importance of-and the gifts that come from- celebrating Sunday liturgy with the community. Often, of course, the decision to participate in Sunday liturgy is not the child’s; we don’t want to make them responsible for something that is out of their control. They might not want to be at liturgy, but they are with us each week. Often it takes only one significant person to be an enthusiastic, faith-filled model-and nudger- in a child’s life. 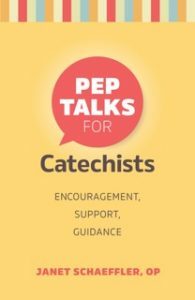 Catechists can be that person. 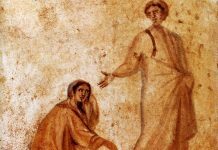 When we speak often of the privilege and joy of worshiping together, of God’s invitation to the table, of the comfort and challenge of Sunday’s liturgy, we are planting seeds. When we use liturgical rituals during our sessions (the sign of peace, the sign of the cross on our foreheads, lips, and heart before the gospel) and link them to liturgy, we are planting seeds for participation. TO PRAY» Faithful God, you call us together for prayer and worship. Deepen that desire, that gift of unity in Eucharist, in each one of us. 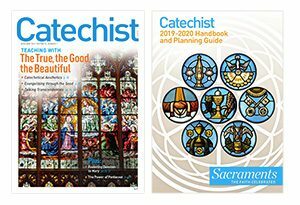 SR. JANET SCHAEFFLER, OP, is the author of many books and resources, including The Spirituality of the Catechist, and The Creed: A Catechist’s Guide, both from Twenty-Third Publications.